I wonder how many teens and youngsters these days have the passion and love to cook and I absolutely admire this sweet girl for her eagerness for the same that end up creating such a wonderful blog Edible Entertainment. Her perseverance to succeed in her Studies and Career along with equal passion for her hobby is really appreciable. Yes friends, you guessed her right. She is none other than Kavitha, rather known as Kavi - One of our best blogger buddy and one of the youngest Chef in bloggers world. Couple of weeks back when she wrote about preparing for her C.A exams, taking a break from cooking and blogging, many among us like me wished best wishes for her exams. To my surprise she was not just doing her scheduled draft posts but also was back with a bang of another Event 'Kids Delight' and then the Series Event 'Cooking with Kin'. Now friends, this is the kind of passion and love towards blogging which I was talking about. When she asked me to do a guest post for her series event I was really happy since this is my very first guest post. So let me present this energy booster and sweet kheer for this sweet girl to boost her up for her studies and I wish her All The Very Best for the exams and wishing her best of all in everything she do. Now coming to this recipe, I'm sure who ever visit this space often is aware of my love for Soybean. I've posted a lot of Soybean recipes and I have more recipes of the same in draft. 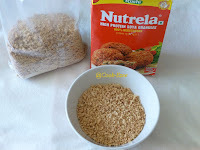 I found this Kheer recipe in the Recipe Booklet that comes along with Nutrela Soybean box. I saved the booklet in my kitchen cabinet for future reference of this Kheer and more soybean recipes. But my son who loves doing his craft on shapes and more did his experiment on my Recipe Booklet and I found it in fine stripes one day :( I wonder how did he reach out to those scissors that was kept far off his reach, yes I'm sure he is growing up fast. My heart sank for a while but then I started making this Kheer since I just knew even Soybean Kheer can be made. 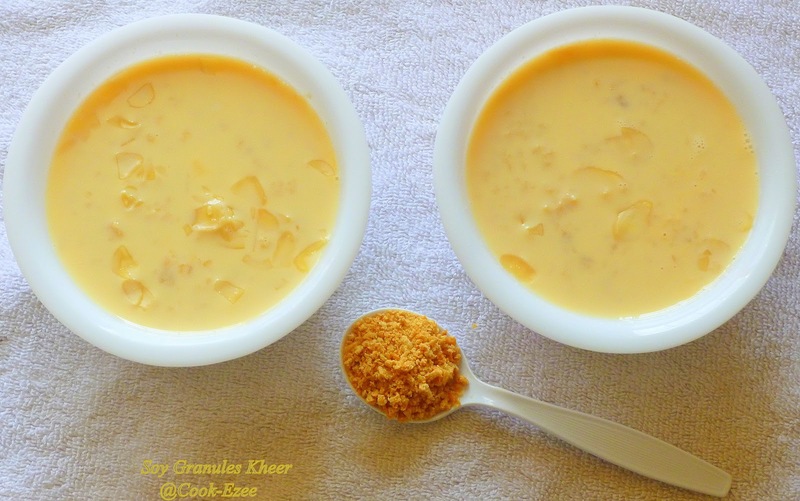 This is the quickest Kheer you can ever make and it really tastes great. This is a great healthy option for even diabetic, cholesterol patients (Use Splenda or any sugar substitute instead of sugar for diabetic diet) with high protein, no ghee, rice or any carbohydrate/fatty ingredients. Try this out friends, I'm sure you guys will love it. 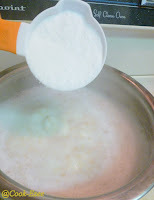 Boil enough water, soak the granules in boiled water for two-three minutes and drain them in a Colander/Muslin Cloth. Wash them in more water two-three times so that granules leave its smell. Squeeze out all the water from granules and set aside. Pour milk in a vessel and bring them to boil. Add Soybean granules to the milk, stir well and let it cook for few minutes(around two-three minutes) in medium heat. 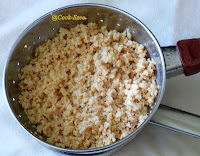 Add sugar and stir well and cook it for another few minutes(Say five-seven minutes) till granules absorbs the sweetness and the milk start to thicken a bit. 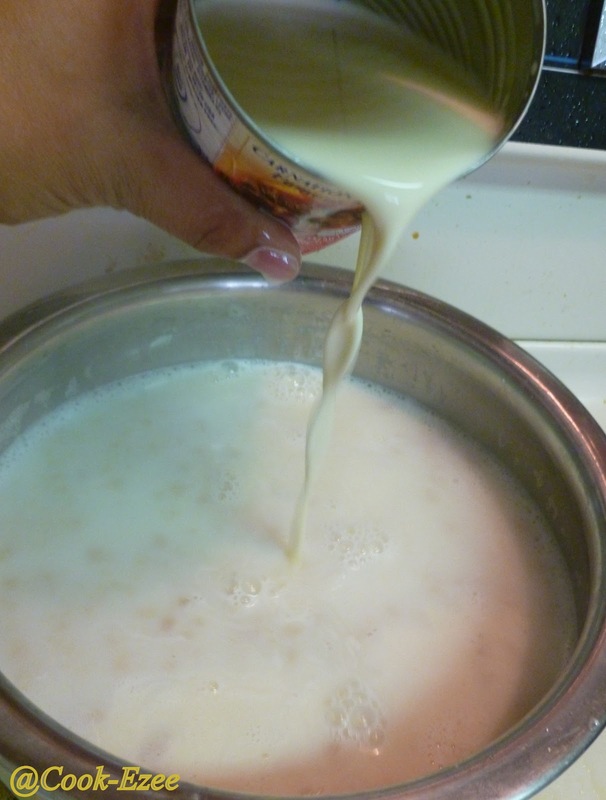 Pour the evaporated milk, stir well and cook again in low-medium heat for five minutes. Add the cardamom powder, stir and cook again for few(two-three mins) more minutes. Take off the stove and move to individual serving bowls. Garnish with silvered almonds and serve warm or chilled(I prefer them chilled). Enjoy!!!!!! 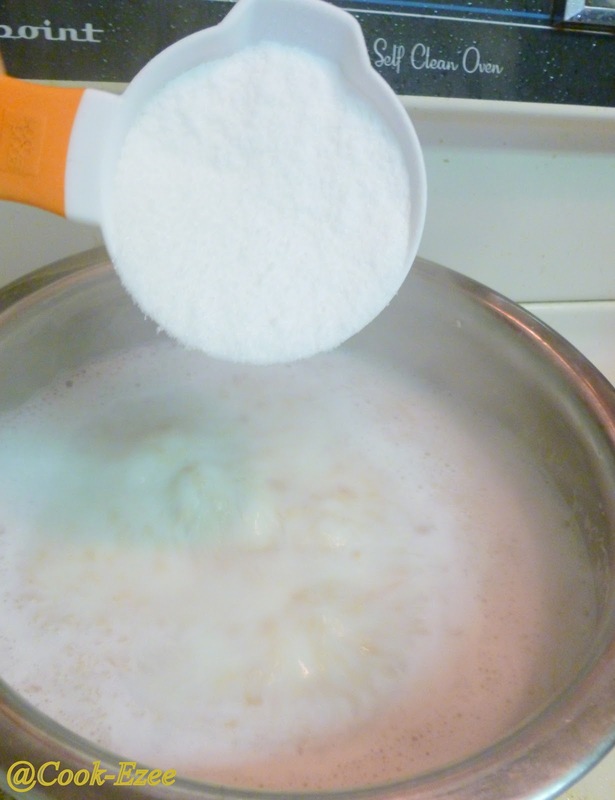 You can use condensed milk instead of carnation milk, but just make sure to reduce the sugar accordingly. 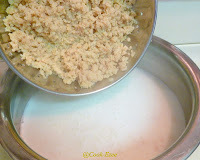 If you do not have condensed milk or carnation milk in your pantry no worries. Add two more cups of milk and simmer the stove to low-med and cook for another ten minutes or till the milk thicken and start to get the creamy color. 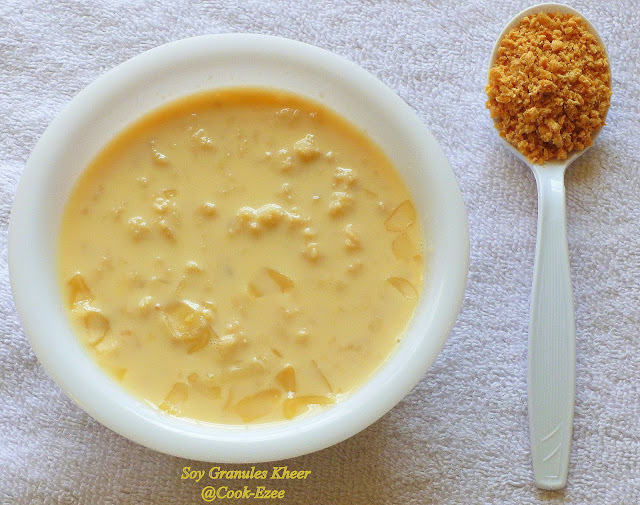 As I mentioned before this is a great healthy dessert/kheer option for elderly people if you can use any sugar substitute(like splenda) since the kheer do not have any fat, carbohydrate, cholesterol content. This tastes great when chilled(I prefer it chilled, can serve warm as well). Congrats on your guest post,keep rocking ! !Wishing many more guest posts..
Read your guest post at Kavi's, awesome dear..
Congratulations on your guest post dear! 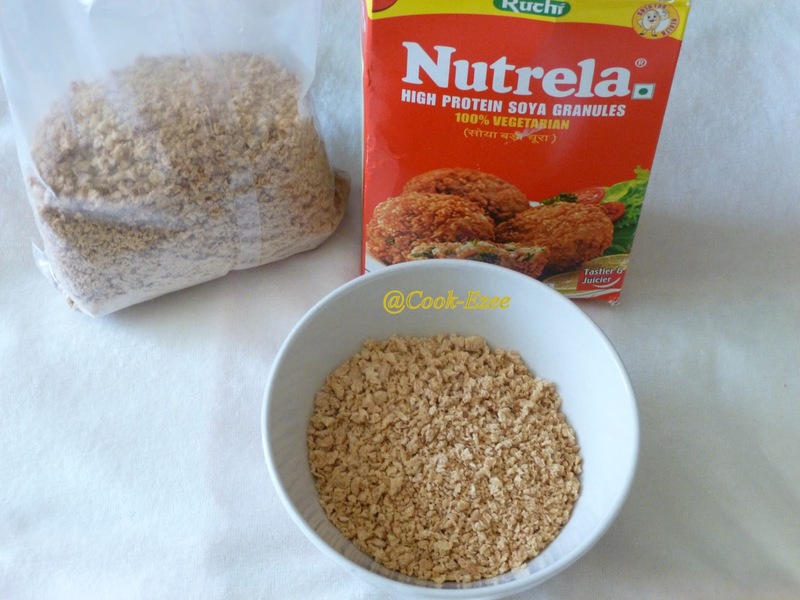 Soya granules kheer is something very new and interesting...looks very delicious too. Lovely mouth watering post, looks yummy. This looks awesome and healthy too! Lovely guest post. Hope u r settled down in ur new house.i never tried soybean granules...kneed looks yummy. Hi...First time here...Innovative recipe..Kheer looks very yummy..
congrats on the guest post..lovely looking Kheer.. This looks awesome! Never heard of such a recipe. Soy Kheer Luks mouthwatering.Very innovative try Dear.